Loft Conversions are fast becoming the most popular of all conversions. They add 30% extra space to properties and can add up to £100,000 to the value of properties in some areas within London. On average they add around 20% to 25% and are seen as a wise investment by many home owners. Loft Conversions can be created for many uses including a Master Suite Bedroom, Kids Room, Home Office or a Guest Room. 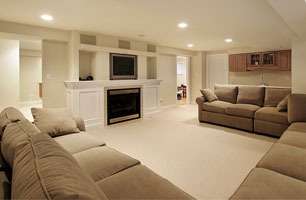 Some homes are converted to flats and even Kitchens and Living areas can be installed within the attic. 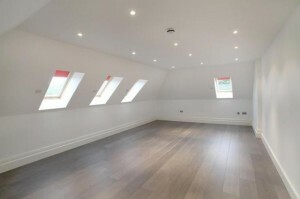 The Loft Conversion London team can build a new Loft Conversion within a few weeks. 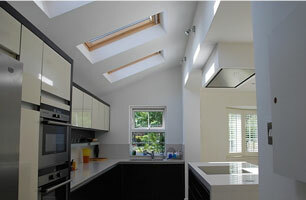 They only specialise in Loft Conversions only and are highly skilled at constructing new Lofts. The Loft Conversion London team keep the mess to a minimum by accessing the Loft Conversion area from outside the roof using the scaffolding for access. They use this area for access until they fully complete the Loft Conversion and lastly install the new staircase. This method keeps dust levels low and eliminate the need to transfer tools and dirt through the property. Most roofs can be converted as long as there is sufficient head room. A minimum height of at least 2.1 meters is required from floor to roof spine. If the height is low then we can still install a Loft Conversion by lowering the ceilings below to achieve more headroom above. Loft conversions fall into one of four basic types. 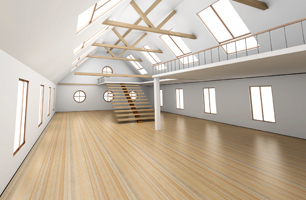 Most lofts will not require planning permission but all must adhere to the current regulations set by Building Control. SAVE MONEY with FREE Architecture FREE Structural Calculations & FREE Decorating. These offers are worth a few thousand pounds and are available on every new London Loft Conversion. Please click here to contact us or give us a call on 0800 019 0470 should you require any further information about any of our services or to arrange a quotation.